People like to share all kinds of images on social media. Whether they are eating, drinking, swimming, partying, dancing, and even accidents, sharing images on social media is the new norm. With so many images being posted, it quickly eats into your bandwidth, especially if you are on a limited plan. 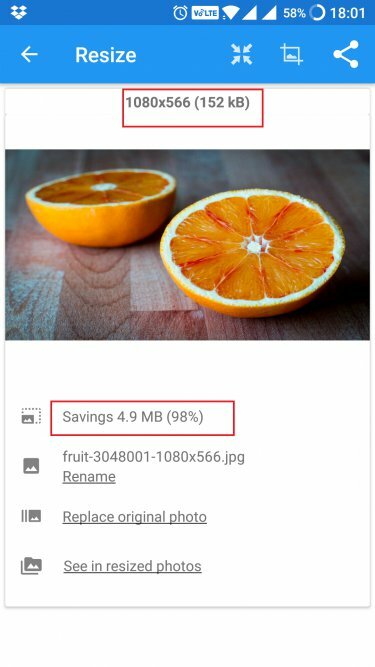 Let’s take a look at 3 image compressor apps that will help you reduce image size on Android, and help you save some bandwidth (read dollars). 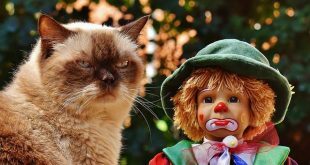 According to BrandWatch, Internet users have an average of 7 social media accounts. Over 3.2 billion images are shared every day. Let’s take a minute to process that. Needless to say, if you are using Facebook, Twitter, Instagram, Flickr etc., you are sharing images and by the end of the month, it can eat well into your bandwidth. Reducing high-resolution images with lower ones that take up less space but deliver same quality will also free up space on your smartphone. 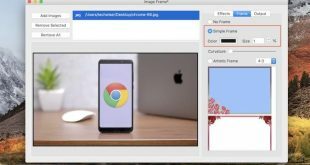 Be smart and use one of these image compressor apps to reduce the image size before sharing it. This will not only save on your bandwidth but also bandwidth of people who are going through your feeds. It’s a win-win situation really. To get started, download the app and launch it. Select the image from your device or cloud storage. 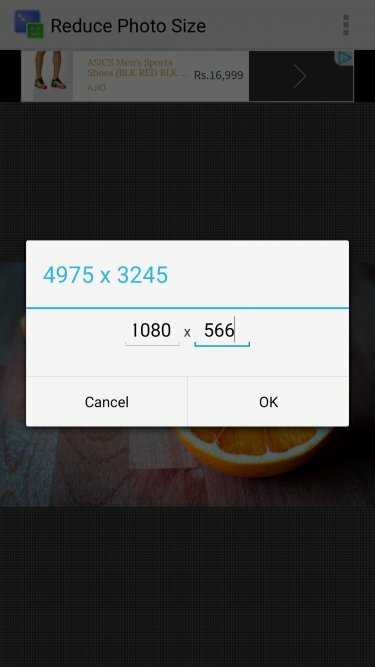 The app will detect and display the size and resolution of the image. You will notice a banner ad at the top. We will see what the developer has to offer in the pro version later. On the upper right corner, you will notice three buttons. First one is to resize and compress the image, the second one will allow you to crop the image and the third one is for sharing. Click the first one. You can choose from a number of measurements based on pre-defined sizes in pixels and percentage. You can also enter custom values for both. 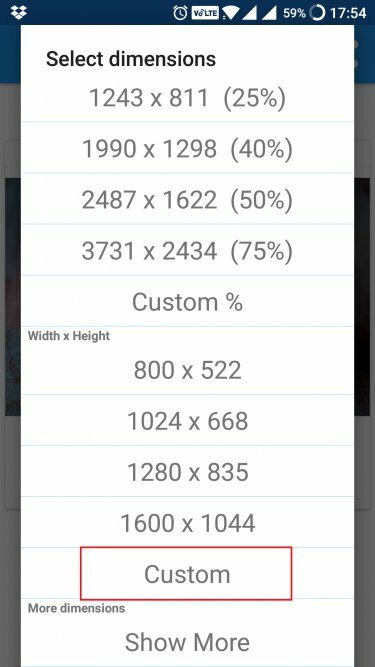 For the purpose of this guide, I will be choosing a custom size of 1080×566 which is horizontal Instagram recommended size. Choose the custom option and enter values. Click OK. 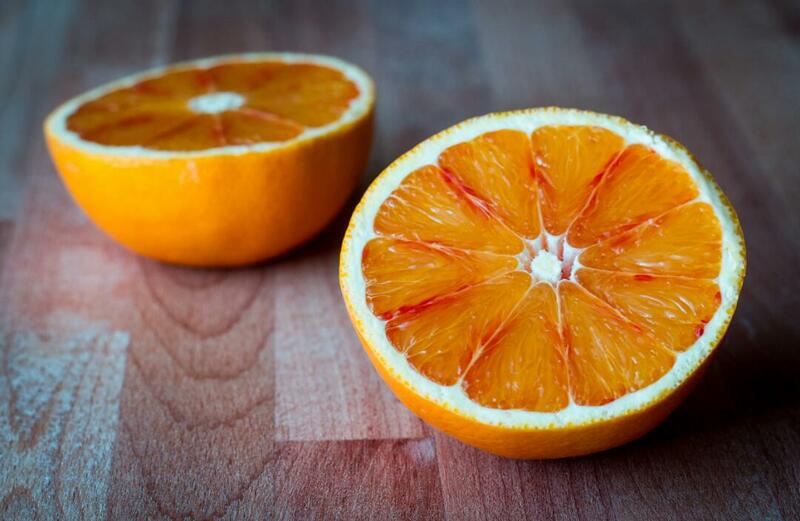 The app will now work its magic in the background and present you the new resized image. It is 1080×566 and only 152 kb. The app saved me 98% space. 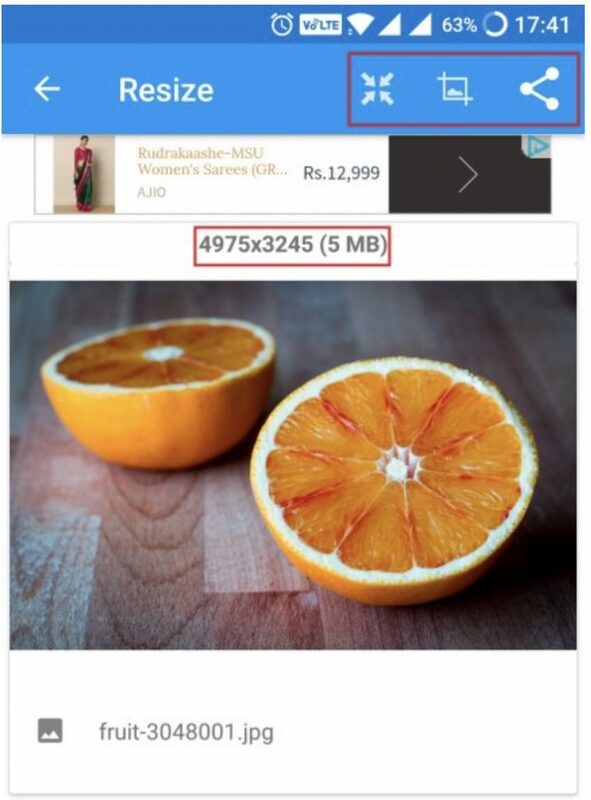 If you click on the image, the app will show both the images for you to compare. Here is the resized image you can compare with the original. You can directly take a photo from inside the app or choose an existing one. There are two upgrades available (yearly $1.49 or one time $1.99) that will remove ads, preserve EXIF data, and remove default subject and footer matter. 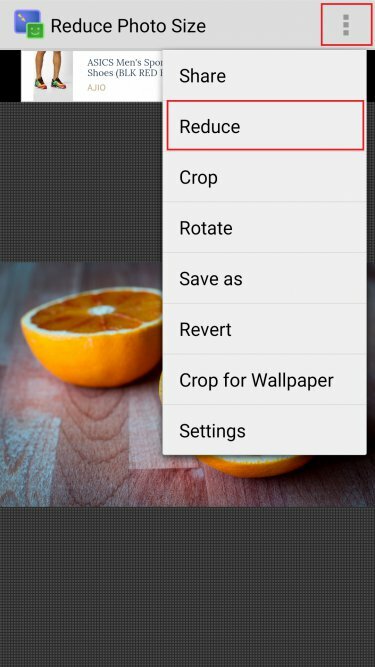 Don’t forget the crop feature which will not only reduce size but also help you crop unwanted elements from your image. Bottom Line: I liked Photo & Picture Resizer because it was super simple to use, UI was good, and the ads didn’t bothered me at all. It worked amazingly well too. Another app that comes with a few extra features like rotate and revert. Open the app and you are presented with two options. Choose an existing image or take a new one. Choosing the same image as above, you will see the image with the familiar banner ad at the top. Click the three buttons in the upper right corner and choose “Reduce” option. You will be presented with some pre-defined resolutions and a custom box. I will be using custom to make sure that all compressed images can be compared equally. So click on custom and enter the values. In my case, it is 1080×566. The app will work in the background, but after the process is finished, there is no visual indication that the image size was reduced in size, like we saw in the previous app. You will have to click on the image once to reveal more options and the new dimensions which are a little different than what I originally entered. The new image size is 84 kb at 1080×704. Here is a link to the new image for a side by side comparison with the original. There is no pro version available. Bottom Line: While the UI can be improved to show information directly without having to touch the image, Reduce Photo Size did a better job at 84 kb against Photo & Picture Resizer’s 152 kb. It also did a better job of preserving the natural aspect ratio making the final image look better, even though I selected a custom size. Plus you can rotate and revert images. 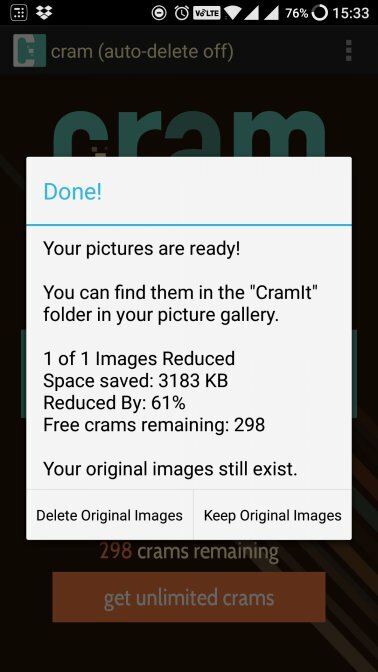 Cram is a small little app that does one thing and it does it well. You can use it to reduce the image size without changing the resolution of your image. Let’s see how it fairs. Download the app and launch it. By default, you get 300 crams which means you can cram 300 images after which you will have to buy more crams. The app will show how many crams you have left. I used it once already to test. Click the big green Cram It button and choose the image you want to reduce in size. You will an auto-delete setting notification. 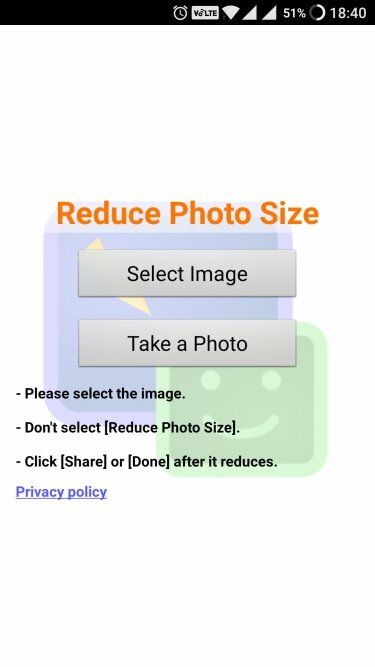 Basically, the app is asking if you want to delete the original image after it has been reduced in size. I don’t want that since I am still testing apps. Choose the image and hit the “cram it!” button again. You will now see a notification with details. The original image was sitting at 5.1 MB while the resized image is now 1.92 MB. Here is a link. The size is more because the image was not resized but simply crammed or optimized. The image will be directly saved in the CramIt folder. You can keep the original image or delete it to free space. There is an upgrade available at $1.99 that will allow you to remove the 300 limit. There is a popular shortcut that people often use. 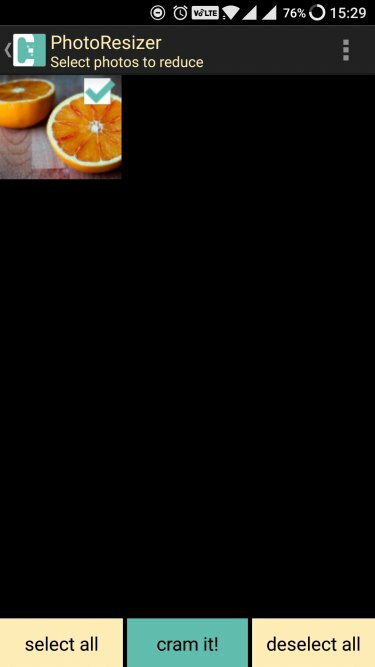 You just open the image in full-screen mode and take a screenshot of the same. I took a screenshot and the size was 1.84 MB. Another way is to visit a browser tool like Reduced Images where you can change dimensions, file type, and quality in percentage. 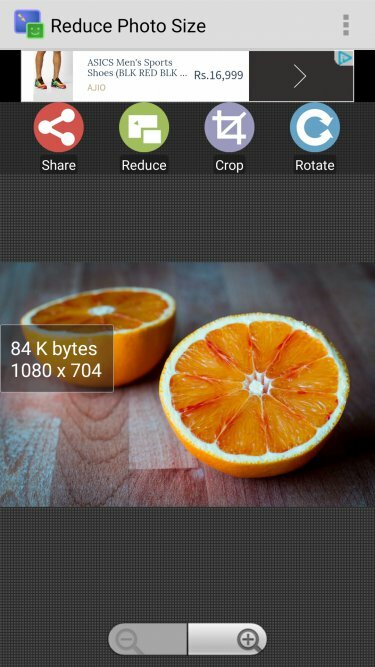 These are some of the better ways to reduce image size on Android. I like Reduce Photo Size because it clearly worked better than the rest. If you are a photographer, you will notice changes in texture, clarity, and pixels, but for the most of us, I think this is pretty good. 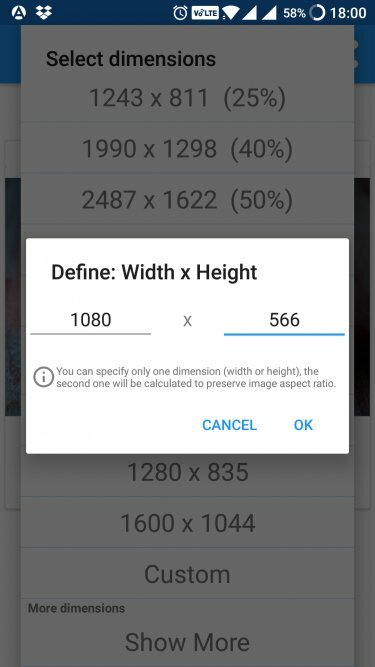 Of course, you can play around with resolution and size to find the perfect balance of size and image quality. 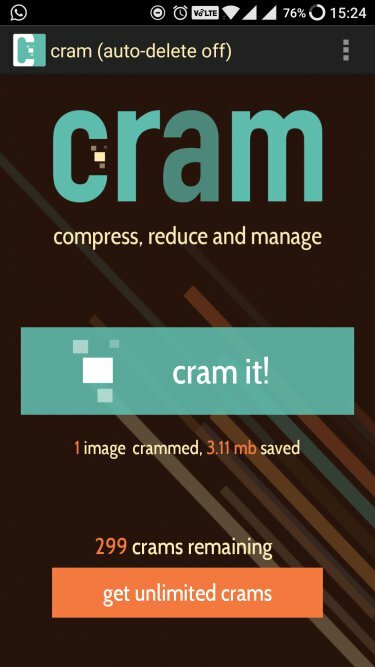 I liked Cram It because it maintains quality better although for a higher file size, and it is paid. In the end, I will let you guys be the judge. Let me know in the comments below if you know of any other good app that is worth its salt.